This November birthstone ring is Inspired by nature and handmade by Caroline Brook in silver and rose gold with a sparkling london blue topaz. 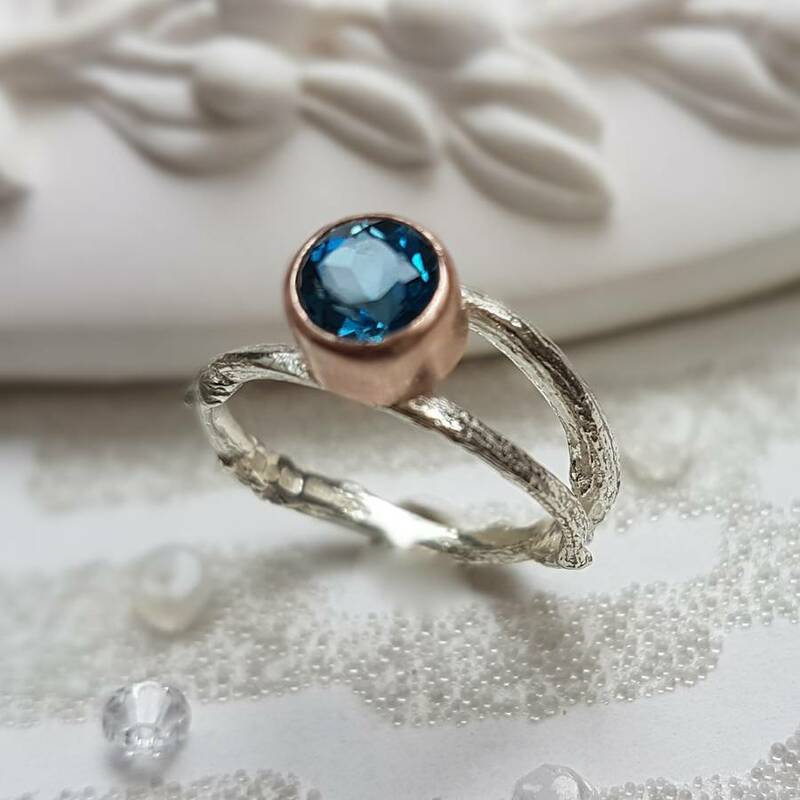 This stunning blue topaz woodland ring has a band that has been cast in sterling silver from a real woodland twig showing the beautiful bark texture and knots. 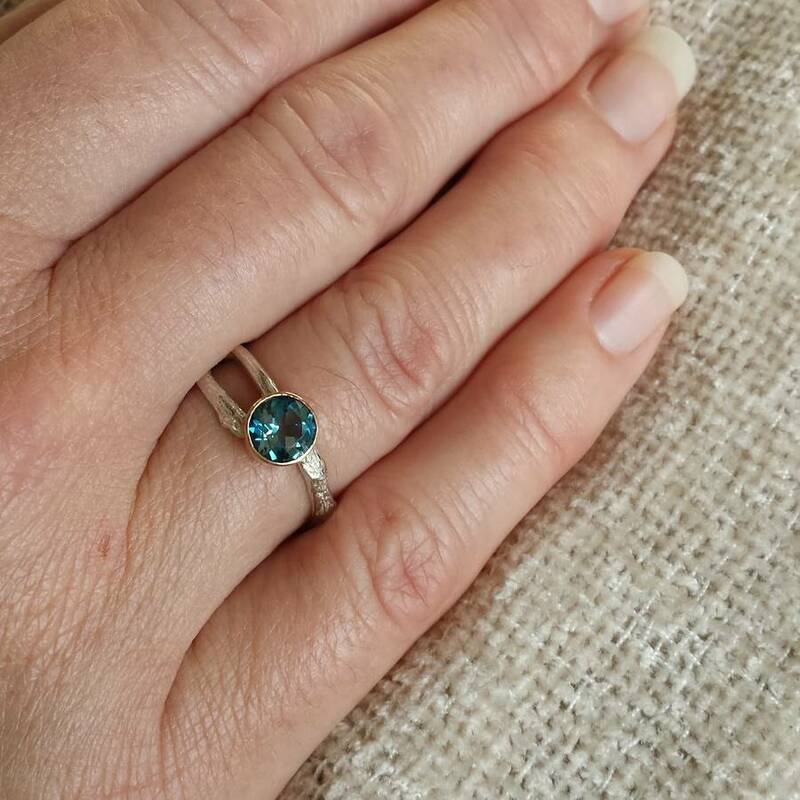 Set into a rose gold bezel is a brilliant cut, 6mm London blue topaz. 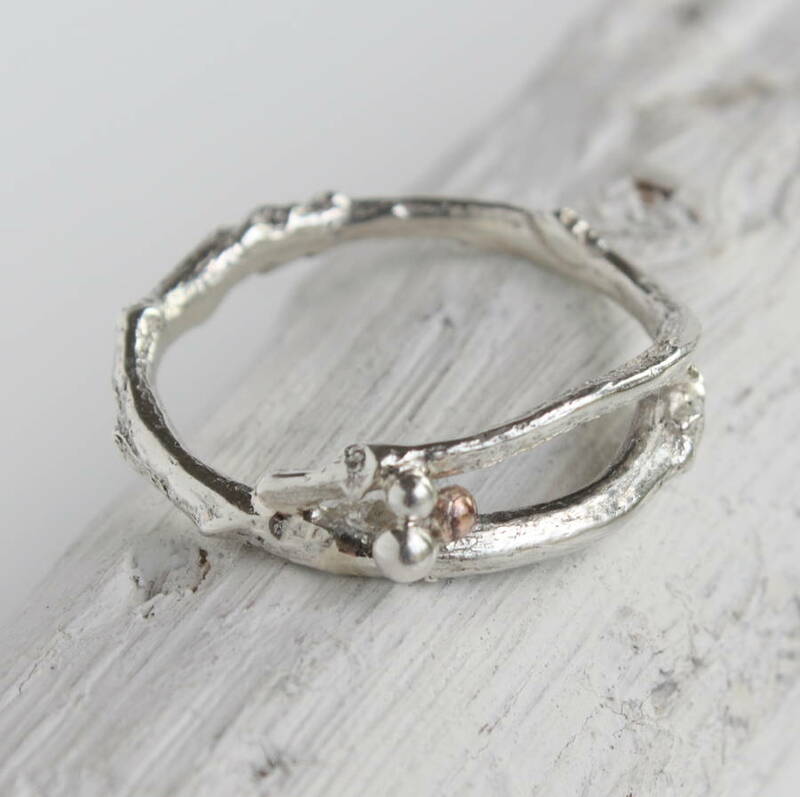 The combination of silver and rose gold is very attractive and makes this delicate organic ring a real beauty. 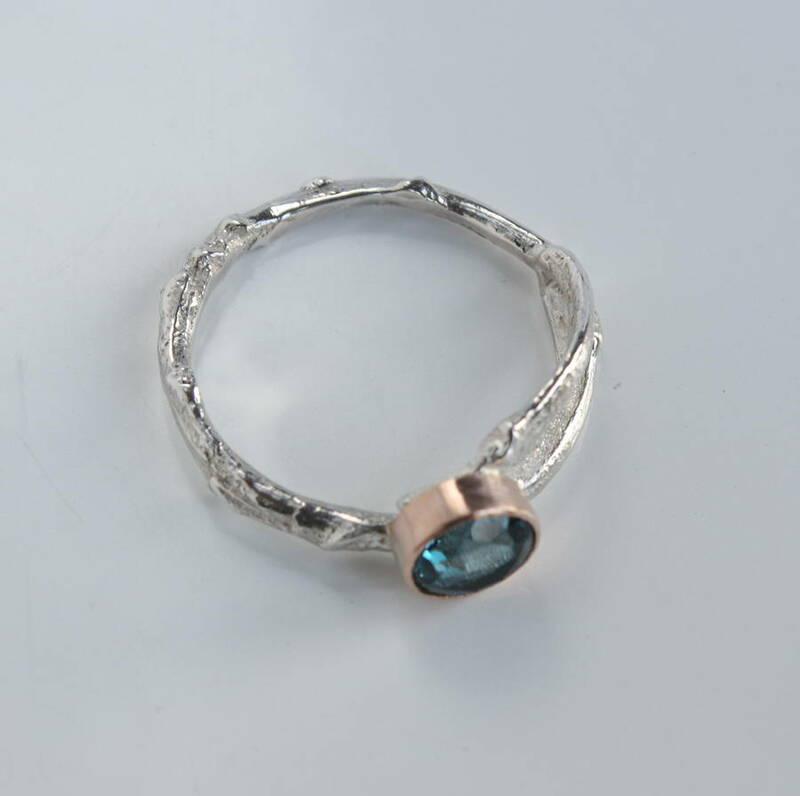 The woodland twig ring is ideal for those that appreciate nature and like to wear something a little different. 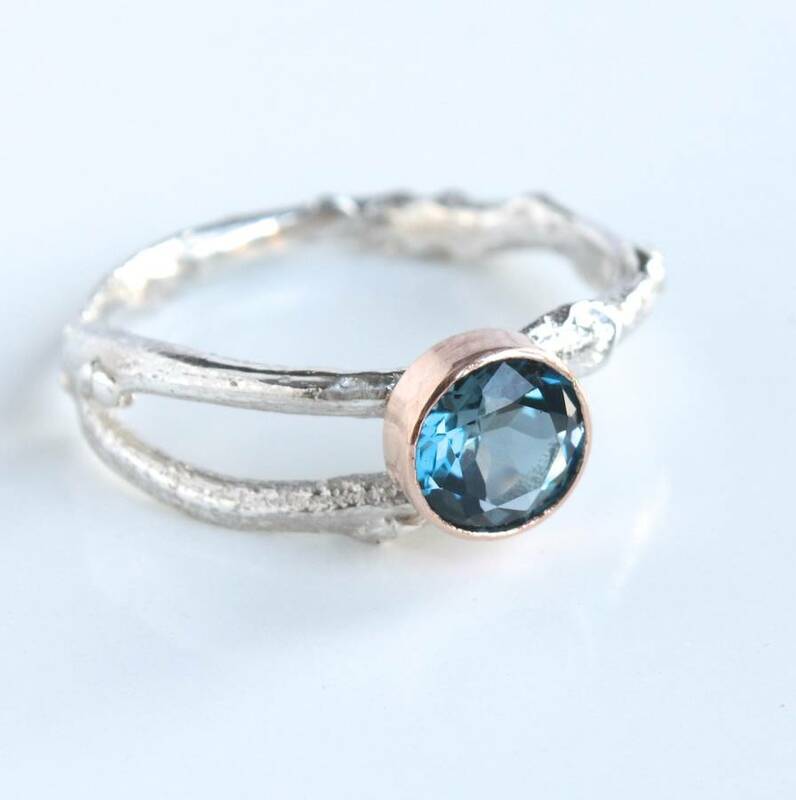 It would also be perfect as an engagement ring or love token. 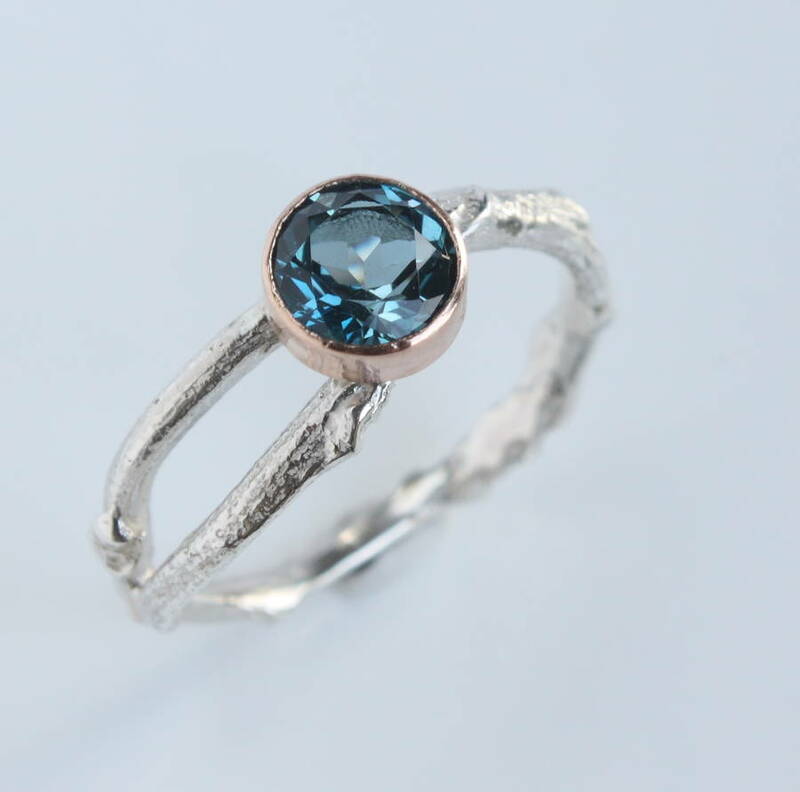 The woodland twig rings come with a choice of gemstones which can be seen in one of the images. If you would like a different stone or a diamond, please contact me for a price. The band measures between 2 and 2.5mm. 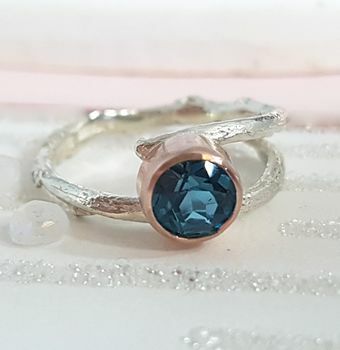 The london blue topaz is 6mm.